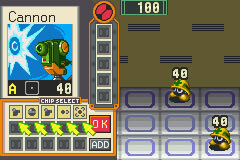 Mega Man Battle Network is an action role playing game for the Nintendo Gameboy Advance. 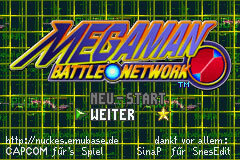 In Japan, the game was originally released under the title Battle Network Rockman EXE. 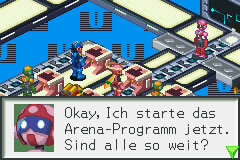 A nearly complete German translation and a clean font, with all necessary symbols and characters. 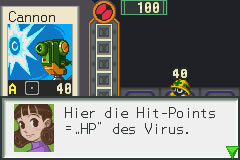 As Special: The exclusive Battle-Chip “Bass” has been implanted.